When you think of a food truck, you probably imagine two hipsters grilling burgers in the back of a decorated van. Well, think again. The Giving Food Truck is one of the largest professional mobile kitchens in the world! We can cook up to 10,000 meals per day! 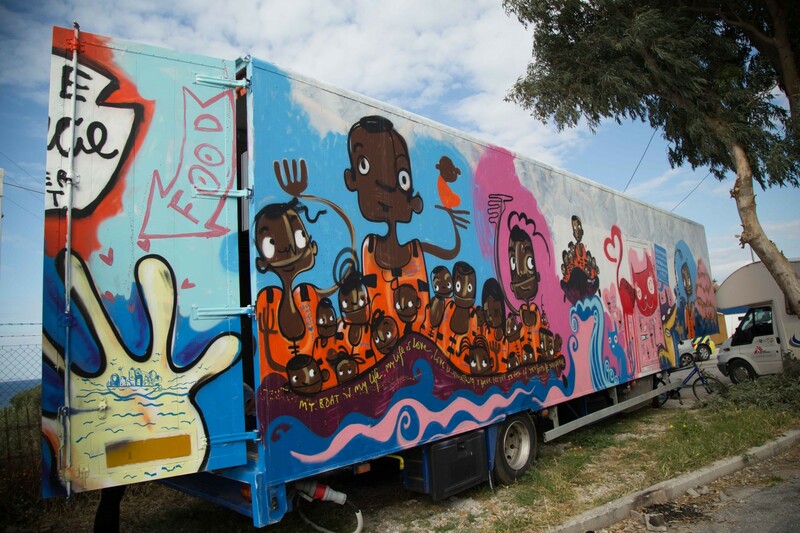 We organized to drive this truck all the way from the Netherlands to Lesvos to add healthy and nutritious food to the daily camp menu. Our voluntary cooks roam the Mytilini markets to support the local economy as well as prepare food side-by-side the residents of the island. The Giving Food Truck has been one of the very first initiatives of Movement On The Ground, and it’s still one of the most important projects we have done so far. Until now, we can proudly say that the truck has provided over 400.000 meals since it arrived on the island! Follow our food truck here on Instagram or donate to help maintain this project. 100% of your donations go to providing meals on our campUS's on Lesvos! Your donations also help us fund more projects to create a safe environment for residents.